Guilt, damn it! I try. We try. But I (maybe, we) have been programmed to feel guilty. 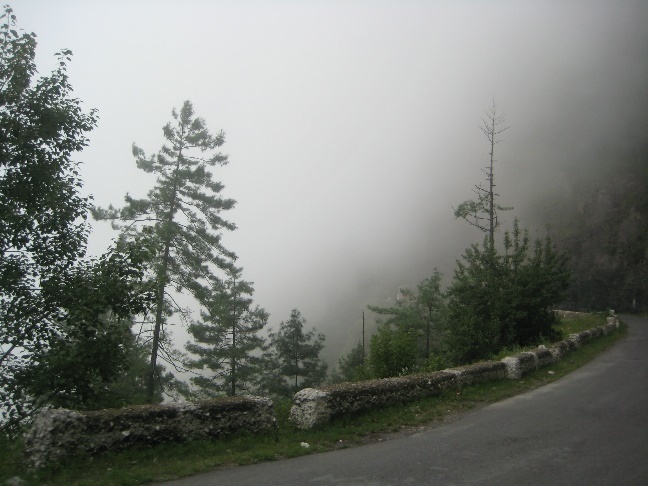 Driving up the Himalayan Expressway, it doesn’t take us very long to climb up to 5000 feet and then 7000 feet. It doesn’t really register because despite the awe inspiring mountains all around us, there is no real sense of having left the maddening crowd behind. 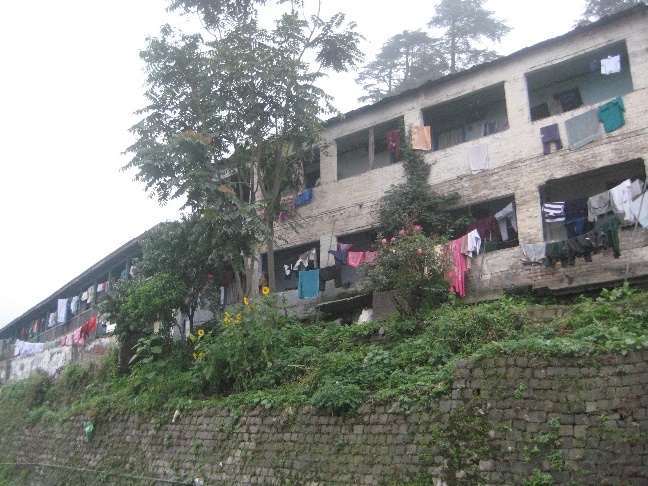 The hills are dotted with apartments and cottages, picturesque from a distance but rather grubby on a closer look. But this is something I have noticed about India. Every layer of dirt and stain adorns a wall or window or doorway or trellis that is richly beautiful. This doesn’t apply to the modern steel and glass structures that are coming up almost everywhere but if you have been to Goa, Kerala, TN or Himachal you know what I am talking about. There is also a lot of vehicular traffic – trucks transporting everything from grains to clothes up into the mountains, buses taking turns at speeds that would make Ayrton Senna throw up if he was alive, cycles, bikes and cars and fighting for space with all of them on these narrow roads – people! Now here is what I noticed about Himachalis. They don’t seem to be aware of the concept of gravity. Over the next nine days I would often see (with a lot of trepidation that I am going to witness a tragedy) men, kids with school bags and women with babies standing on the very edge waiting for buses. ‘Edge of what?’ you ask. Edge of Earth! Most of these roads don’t really have a bordering patch of earth. They just end with the ravine on one side and the mountains on the other. If they had a bit of ground running alongside, it would be very narrow – say one a half persons thick – and of course it ended near the ravine. And this is where the people waited for buses! On the edge! Nuts. As we drove up, we decided to skip Shimla and just head up to the lesser explored but equally if not more beautiful parts of Himachal. We had had plans to stop at Solan to check out the distilleries and have a bite. Picking up a crate of beer would have been completely incidental. 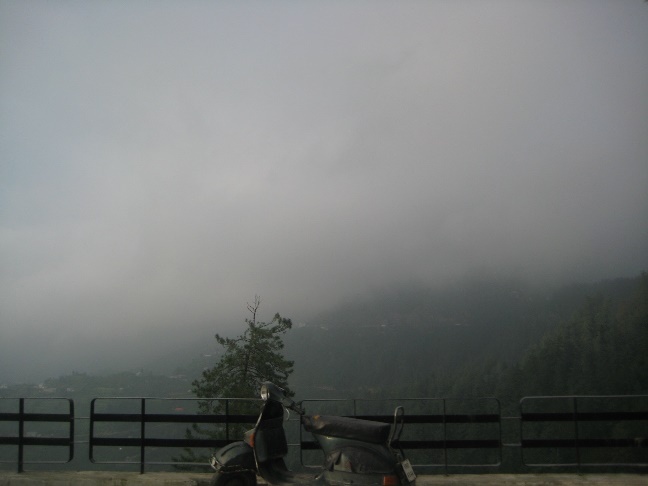 This is not why we had included Solan in our itinerary. We just forgot one small detail. It was a Sunday. Sundays may be working days in the Middle East (where we all are based) but not in India. The distillery was closed for the day and so were the ‘wine’ shops that sold beers, whisky and some rather ‘iffy’ wines. The men were rather disheartened as we drove on. Along the way not surprisingly we were famished. Surya wanted to drive on at a stretch as much as possible so that we’d reach Narkanda, our night halt, before visibility reduced. In the Himalayas, for newbies like us, this means 6.30pm latest. 6 if you are being sensible. But two hungry women and three famished children kind of decided things for us. We stopped by the side of the road near a channa batura seller. Now every Indian knows his or her channa batura (big fluffy fried bread served with chick peas masala – that is how the Saravan Bhavan menu describes it!). However in HP the channa batura takes on a more… ummm what should I call it… yeah a ‘takeaway’ avatar. The channa is boiled and kept separately. So are a selection of chopped salad veggies like onions, tomatoes, coriander (cilantro) and cucumber and what-nots. The batura is not the batura that we get in our roadside dhaba or Saravana Bhavan. It is almost like the Arabic pita breads. 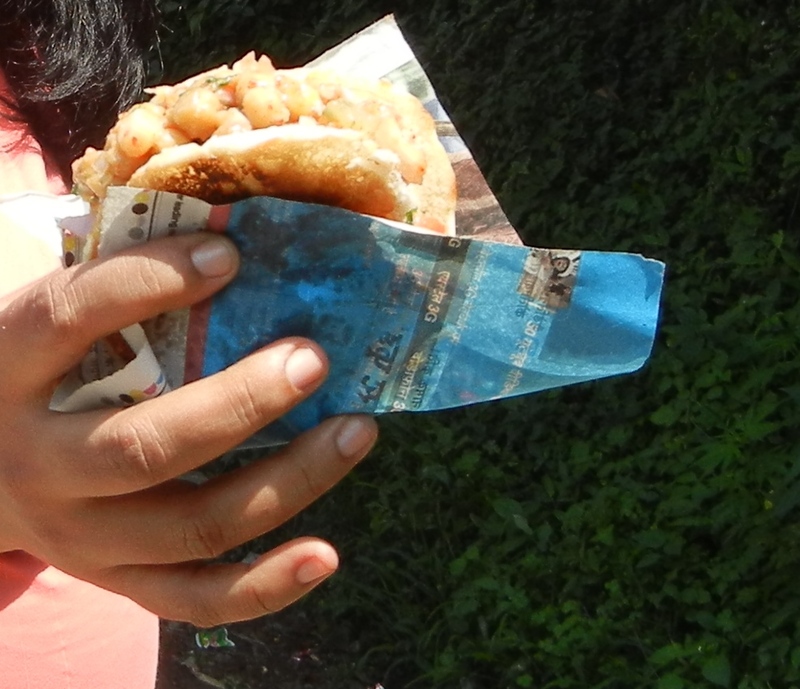 It can be separated so that you have a pocket into which the channa and the veggies and the thick spicy masala are ladled and you have a Channa batura takeaway sandwich. Ravenous no more we sat quietly in the XYLO and watched one stunning scenic frame being replaced by another as we drove further up. 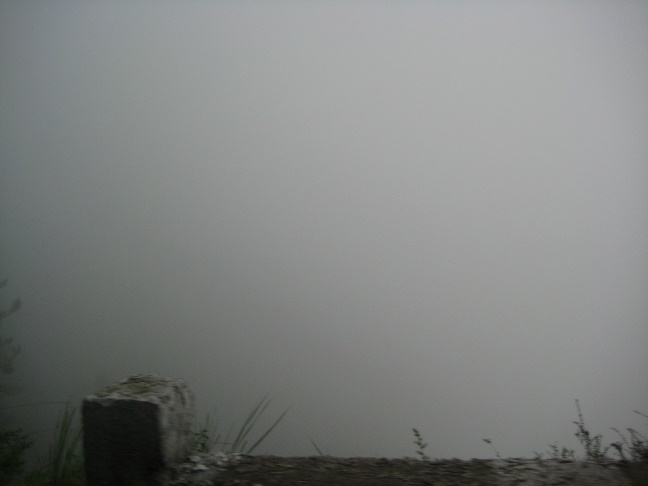 We had reached 8000 ft by now and the scene outside was no longer frantic. There was the humming kind of silence that one gets in remote places or after a snow fall. And in the pits of our stomach the feeling set in – the adventure has truly started… we are in the mountains proper. 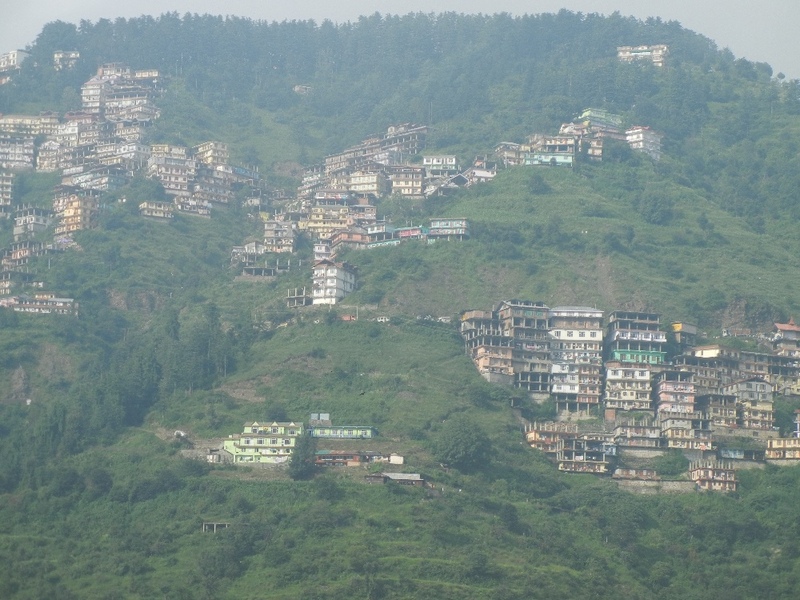 We drove higher up and we reached Narkanda and by 5.30pm we had reached our destination – Hotel Hatu. Good thing too cause it had started to rain lightly and that meant foggy conditions and zero visibility.